Since no one here on earth currently has the need for an astromech droid capable of light spaceship repairs, re-purposing R2D2 as an autonomous suitcase is a brilliant idea. So it's kind of disappointing that this rolling artoo luggage has to be manually dragged along. 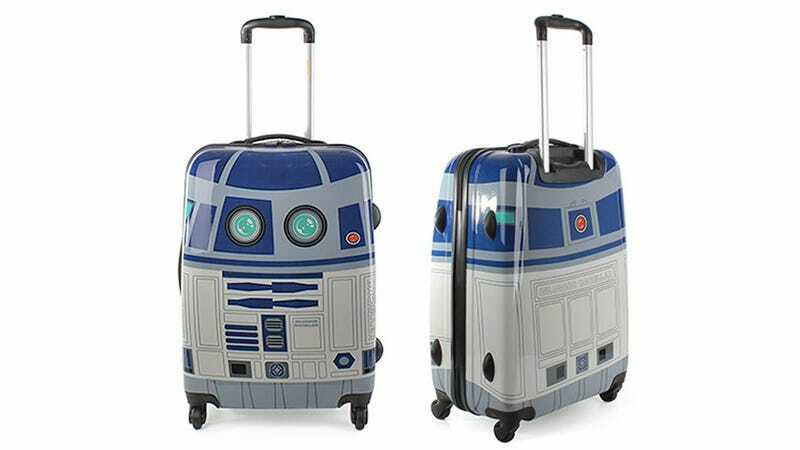 Created by Salvador Bachiller, the R2D2 luggage—sorry—"Robot Trolley" luggage is a run-of-the-mill suitcase that's simply been wrapped in printed graphics making it look like a droid that for legal reasons has no connection to Lucas' creation. It doesn't roll around on its own, it doesn't project princesses, it doesn't even bleep or bloop. But can you really expect to find a fully-functional artoo unit that also holds your underwear for just $100? Not in this galaxy.